The Rancor -- a salivating, tooth-filled maw dominates its flat face, and its armored skin is so tough that it can shrug off blaster bolts as little more than annoyances. Earn Rare Gear and Han Solo Shards! This unit attempts to escape from the battle (40% chance), allowing it to be used in a future attempt. If successful, saves this character's current Health, Turn Meter, and Ability Cooldowns for a future attempt. Pig-like brutes known as Gamorreans stand as the first line of defense toward the inner sanctum of The Pit. Their captain, heavily guarded by his seemingly-endless waves of reinforcements, must be defeated to breach the sanctum door. Deal Physical damage to target enemy, plus bonus damage equal to 20% of their Max Health. If the target had 50% Health or more, also call an ally to Assist. This attack can't be Evaded. Call all Gamorrean allies to Assist, then summon up to two Gamorrean allies to the battle. This ability is on cooldown when the battle begins. All allies gain 30% Turn Meter and Offense Up for 3 turns, and other allies recover 30% of their Max Health. This unit has +50% Tenacity while it isn't Toppled. As long as this unit isn't Toppled, it has +1 Bonus Action and gains 5% Turn Meter whenever it takes damage. In addition, it takes reduced damage from Percent Health damage effects, its Turn Meter gain effects can't be prevented, and it's immune to Stun, Shock, Ability Block, Daze, Stagger, Health Down, Cooldown increase, and massive damage effects. Fearsome Foe begins a countdown when the encounter begins. When it completes, all enemies will become Enraged until the end of the encounter. Deal Physical damage to target enemy and inflict Heal Immunity for 2 turns. Deal Physical damage to target enemy and inflict Buff Immunity and Ability Block for 2 turns. Gamorrean Brute Taunts, gains Defense Up for 2 turns, and gains 70% Turn Meter. Gamorrean Guard Taunts and gains Retribution for 2 turns. The terror residing within the inner sanctum has been unleashed. Riled from the sounds of battle, the Rancor's enduring defenses are nearly impenetrable. Beware of its insatiable appetite! Deal Physical damage to target enemy with a 50% chance to inflict Healing Immunity for 2 turns and a 50% chance to Stun for 1 turn. This Stun chance is doubled if the target has less than 50% Health. This ability deals 30% less damage to Taunting targets. Deal Physical damage to all enemies with a 35% chance to inflict Health Down for 2 turns. Then, Devour's cooldown is reduced by 1 for each enemy that is below 50% Health. This ability deals 30% less damage to Taunting targets. The Rancor roars, Dispelling all positive status effects from all enemies, and removing 75% Turn Meter from each enemy that did not have a positive status effect. Instantly defeat target enemy. This ability can't be Evaded, and the defeated target can't be Revived. This ability is on cooldown when the phase begins. The Rancor has +50% Armor as long as it isn't suffering any negative status effects. As long as this unit isn't Toppled, it has +1 Bonus Action (with a 50% chance to gain an additional Bonus Action each turn) and gains 5% Turn Meter whenever it takes damage. In addition, it takes reduced damage from Percent Health damage effects, its Turn Meter gain effects can't be prevented, and it's immune to Stun, Shock, Ability Block, Daze, Stagger, Health Down, Cooldown increase, and massive damage effects. Morale I: All attacking units gain 100% Critical Chance. Morale II: If the Rancor has 50% Health or less in its current phase, all attacking units gain 25% Speed. Morale III: All attacking units that have more than 50% Health when the Rancor becomes Toppled gain 50% Offense. Morale bonuses are lost when the Rancor is no longer Toppled. After being disabled, this device is temporarily inactive. 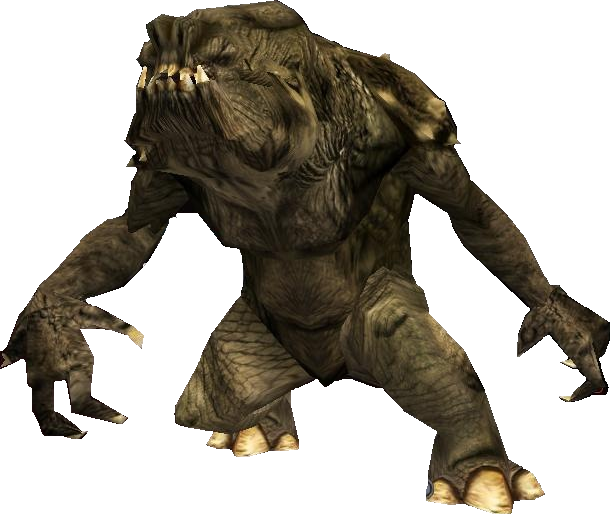 Taking on a more aggressive nature, the Rancor is more susceptible to damage. Sometimes, however, the best defense is a strong, debilitating offense. The Rancor takes 50% less damage from enemies suffering a negative status effect. Wounded but not tiring, the Rancor's rage during its final stand is unquestionable. The Rancor may no longer use Devour, but it has +25% Speed and its ability cooldowns recover 100% faster. This unit attempts to escape from the battle (50% chance), allowing it to be used in a future attempt. As long as this unit isn't Toppled, it gains 5% Turn Meter whenever it takes damage. In addition, it takes reduced damage from Percent Health damage effects, its Turn Meter gain effects can't be prevented, and it's immune to Stun, Shock, Ability Block, Daze, Stagger, Health Down, Cooldown increase, and massive damage effects. This unit attempts to escape from the battle (60% chance), allowing it to be used in a future attempt. This unit attempts to escape from the battle (70% chance), allowing it to be used in a future attempt. This unit attempts to escape from the battle (80% chance), allowing it to be used in a future attempt. This unit attempts to escape from the battle (90% chance), allowing it to be used in a future attempt. This unit attempts to escape from the battle (100% chance), allowing it to be used in a future attempt.